Often described as “the land of the far horizon”, there is a wild beauty in Northumberland National Park, you just have to experience it, to feel it. You’ll discover wonderful food, enjoy local festivals and be able to explore ancient sites of international significance. Picturesque towns and villages provide everything you need to make your stay special. Northumberland National Park together with part of Kielder Water & Forest Park, is England’s only International Dark Sky Park (Gold Tier). On a clear night you can see the Milky Way, and even the Andromeda Galaxy (2.5 million light years away) with the naked eye! Kielder Water & Forest Park has it all. The views are bigger, the night sky brighter, the sports wilder and the smiles wider. Home to the biggest man-made lake in Northern Europe and, at over 250 square miles, the largest working forest in England, the award-winning Kielder Water & Forest Park is one of Northumberland’s best attractions. A haven for wildlife, visitors can expect to encounter otters, roe deer, badgers and bats. Stay in luxury Scandinavian style lodges with panoramic views over the lake and forest. Leaplish Waterside Park offers the best of both worlds – peace and tranquility combined with unrivalled opportunities to get active. A trip to Northumberland wouldn’t be complete without a visit to Hadrian’s Wall, where Roman’s remain a part of everyday life. Stretching 73 miles from the Solway Coast in Cumbria to Wallsend in Newcastle upon Tyne, Hadrian’s Wall took three legions six years to build. Traversing rolling countryside, crossing rivers and hugging the formidable crags of the Whin Sill near Bardon Mill Hadrian’s offers something for everyone - world class archaeology, spectacular landscapes, rare wildlife, complete solitude, wonderful pubs and welcoming people. Prepare to be blown away by the intense views of the North Pennines, one of the most remote and unspoilt places in England. This landscape of tumbling waterfalls and vast heather moors, where peatlands meld with ancient hay meadows, holds the double accolade of being a designated Area of Outstanding Natural Beauty and Britain’s first UNESCO European and Global Geopark. Twice crowned ‘Village of the Year for England’, Allendale is a pretty, stone built village in the heart of the Allen Valleys. Here you can welcome in the New Year by marvelling at the famous Tar Bar’l, where at midnight, men carry barrels filled with blazing tar on their heads and parade through the streets to banish evil spirits for the coming year. 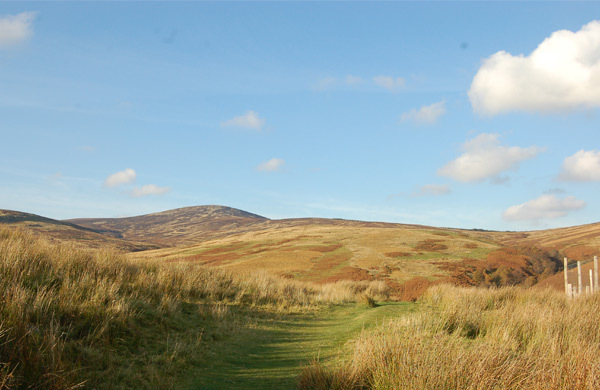 The North Pennines is the second largest designated Area of Outstanding Natural Beauty (AONB) in England. This breathtaking wilderness is home to an array of wildlife; 80% of the UK’s black grouse population live on the moorland of the North Pennines. Boasting an impressive collection of over 450 cottages Northumbria Coast & Country Cottages has something for everyone, whether it’s a romantic bolt-hole for two or a larger property ideal for a group of up to 12 people. Many of their cottages are dog friendly, so all the family can enjoy a holiday in Northumberland. Cottages in Northumberland has a wide selection of self catering holiday cottages in both coastal and country locations across the Northumberland area. We have something for everyone from romantic boltholes to family friendly cottages plus a great choice of dog friendly properties!